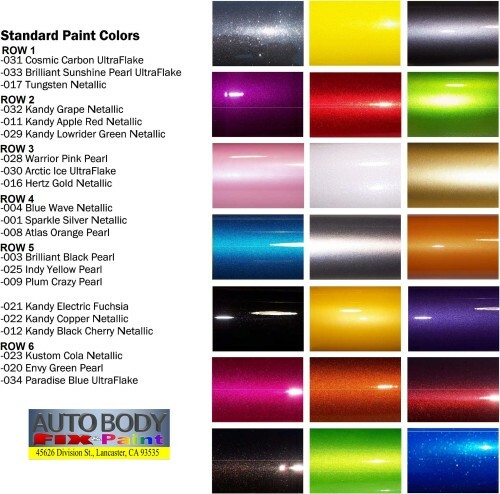 Auto Body Fix & Paint specializes in all aspects of auto body and collision repair. Our services include job estimation, precision measurement, body welding, metal finishing, paint color matching and other critical tasks, necessary for best-in-class body shop repair. Our staff completes body repairs and refinishing to recognized industry and manufacturer standards. Our primary goal is to deliver premium collision work to our customer’s expectations. •Customer’s vehicle is towed to our shop by their own insurance company. •Work on damage estimate and assessment diagnosis. •Should you pay for the auto body work yourself or have the insurance company pay? •Can we assist with lease turn-in? •Can we provide estimates over the phone? •Can you match my paint color accurately?